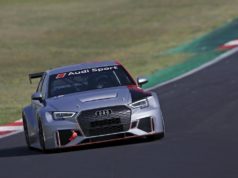 The driver quartet of Volkswagen and Sébastien Loeb Racing for the FIA World Touring Car Cup (WTCR) is complete. 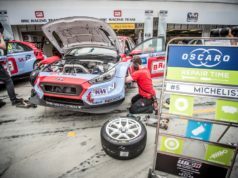 Benjamin Leuchter moves from ADAC TCR Germany to the pinnacle of touring car racing. He will compete in the Golf GTI TCR1 alongside his team-mates Mehdi Bennani, Rob Huff and Johan Kristoffersson. Sébastien Loeb Racing will field four cars supported by Volkswagen for the first time in 2019. In addition to his involvement as a driver, Leuchter is already a brand ambassador and motorsport representative for Volkswagen. He is an instructor in the Volkswagen Driving Experience team. Leuchter has been familiar with the Golf GTI TCR1 since day one. “I was involved in the development programme in 2015. And since then I have competed in numerous races and taken part in every winter test for further development,” said Leuchter.